WHO WAS ABRAHAM'S GOD? And what was the special promise He made? Who was Abraham’s God in the Bible? And what did the word ‘God’ mean to him? Abraham had a Covenant (a sacred bargain) with God. Under this Covenant, God protected his family/clan/people. 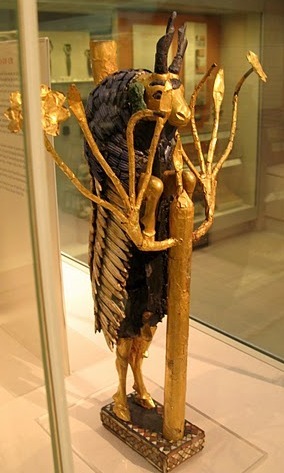 This golden ram with its front legs caught in a bush was excavated at the ancient city of Ur. It bears a striking resemblance to the ram that Abraham found in a thicket when he was stopped in the act of sacrificing his son Isaac. Coincidence? This Covenant/promise/bargain implied a revolutionary idea: that this was a different god: a personal god, with whom you could talk on intimate terms – father to child, as it were. It was one of the things that characterized the religion of the Patriarchs, and made it different. watched over and cared for them. In exchange He demanded absolute loyalty, in good times and bad. Later on, the Bible stories show that Moses was the actual founder of the Israelite people and their faith. But their origins were in Abraham. 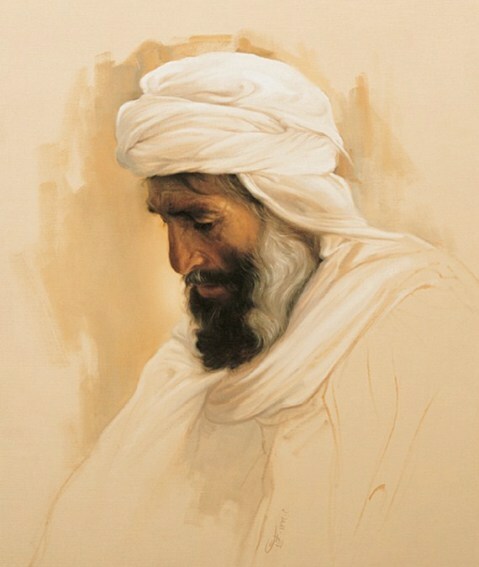 He is regarded as the recipient of the Promise of the Land of Canaan. This is the fundamental tradition of Genesis: God is with His people, through the ages. Their status as His Chosen People is guaranteed by the Covenant.